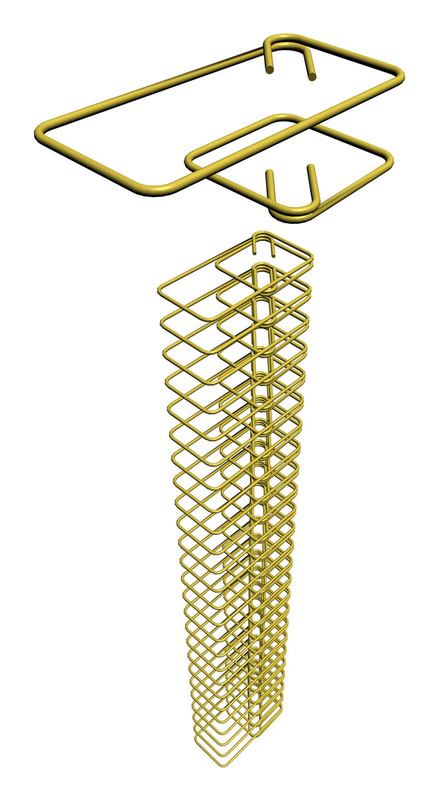 The most complex, hard and time consuming part of the reinforcement implementation is the placement of stirrups. In the duration of this process a large amount of time is being spent and the biggest mistakes are being made. The industrialization of such a complicated and diverse procedure that traditionally was made by hand was not an easy task. In the past decade this issue was dealt with the industrialized production of common stirrups at first and subsequently with the industrialized production of po-lymorphic stirrups. In Greek market the breakthrough in stirrup industry was done with the production of polymor-phic cellular stirrups from pi-SYSTEMS under the name Antiseismic Thoraces. This provided solution in the manufacture of even the most sophisticated stirrups and it solved the problem of accuracy in the design implementation. 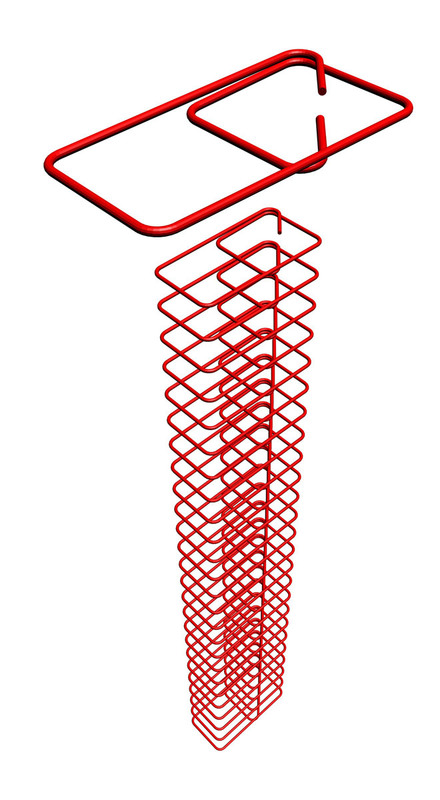 Industrialization of the Greek market was continued by BITROS HOLDING S.A.
At the same time with Antiseismic Thoraces, the advancement of the traditional stirrup machin-ery, now referred to with the general term robot, led to the large scale production of composite polymorphic stirrups produced with a complete or a half circle. The next stage in the vertical reinforcement industrialization was and still is the production of cages that consist of successive polymorphic stirrups. The development of welding machines made possible the formation of cages consisting of different types of stirrups in a number of spacings. The massive industrial production of stirrup cages started from SIDENOR followed by Hellenic Halyvourgia. 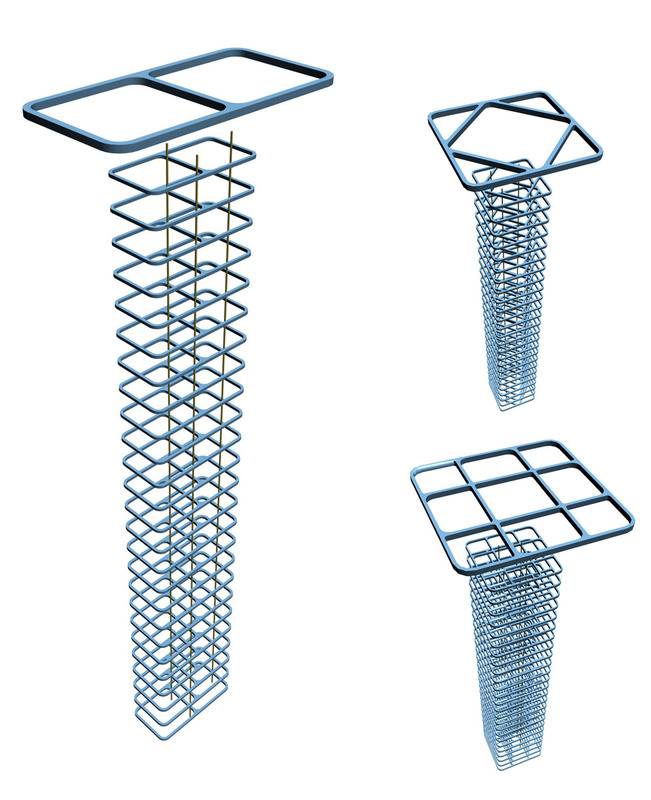 These companies produce, in a large industrialized scale, antiseismic stirrup cages in a small but practical variety of dimensions, shapes and spacings. Despite though the limita-tions, they have managed to cover a large percentage of the market’s stirrup needs. Regarding the complete industrialization of antiseismic stirrup cages production in a world-wide level, the ideal solution is cellular stirrups. These were developed by pi-SYSTEMS and for the time being, they are in an experimental stage. Cellular stirrups were an extension of the ring idea. With today’s industrial facts, rings are produced by the vertical cut in slices of steel pipes, in a first stage, and composite pipes, in a second stage. Common stirrups are produced by hand; consequently their application has no limitations. Practically this means that they can be used in every type and size of columns. Spiral form stirrups are produced by special CNC machines and they can be used in a wide range of column types and sizes. 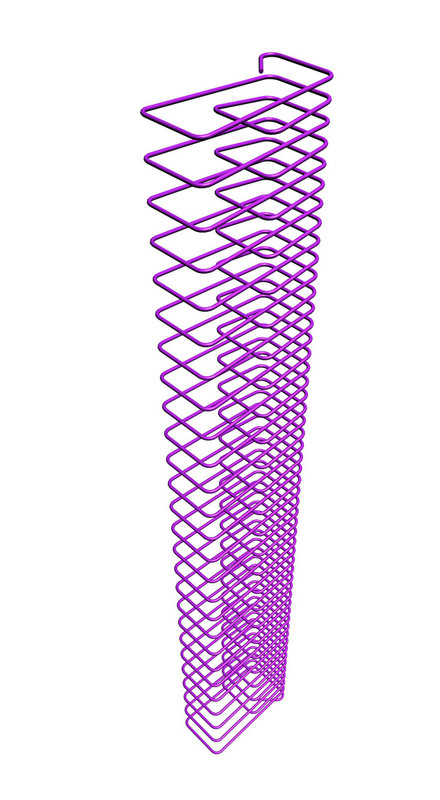 Practically the produced stirrups may be as large as the ma-chine’s largest dimension. Robot stirrups are produced with the use of CNC machinery like the ones used for the production of spiral form stirrups. Their sole difference is that each stirrup is produced with only one complete circle. 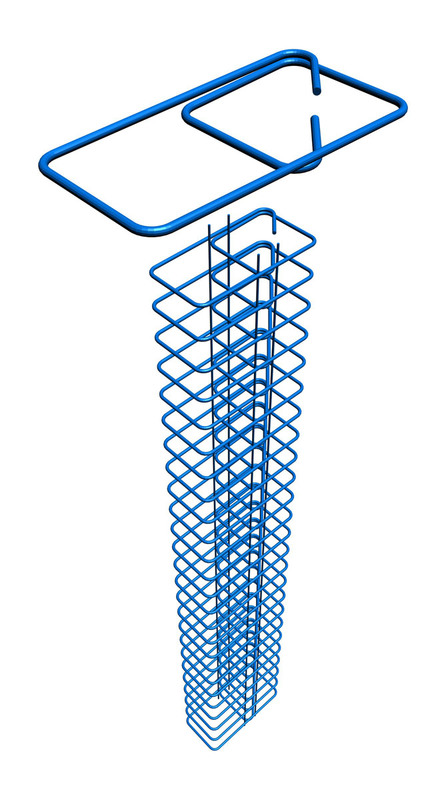 SIDEFOR stirrups are produced as uniform stirrup cages ready for the implementation of the longitudinal reinforcement rebars. Like Robot stirrups, they are composed of complete circle stirrups connected with secondary rebars which have a diameter equal to Ø5.5. Their main characteristic is their industrialized production, they are ready-to-use and available in specific shapes and dimensions. ForSteel stirrups are exactly like the SIDEFOR stirrups; their only difference is that the secon-dary bars used have a Ø6 diameter. Cellular stirrups are closed section (no loose ends) stirrups that are composed by many simple cells or one composite cell. They can be either industrialized assembled with the use of longitu-dinal connecting bars or manually assembled like the common stirrups. These stirrups are pat-ented technology of pi-SYSTEMS in most countries around the world. At present, cellular stir-rups are in an experimental stage for their further development.